We are committed to supporting and guiding our families through the exmissions process. Our emphasis on whole-child learning provides our students with a love of learning and the skills children need to excel in Kindergarten and beyond. Our students go on to great schools that are the right fit for them and their families, and we are there for them every step of the process. Over the past 30 years, we have developed strong relationships with Jewish and independent schools in New York City and are well-versed in the various G&T and other public school options as well. 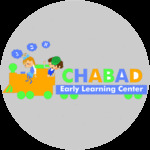 In late fall, we facilitate an annual day school night which brings Jewish day schools from all over the tri-state area to the UWS. CELC Parents have the opportunity to meet with and speak with representatives from local, NJ, Westchester, and CT schools. This is a great introduction to what options are available for elementary school. Our teachers and directors have tremendous experience and knowledge of the various schools, and are available to help parents choose the program that's right for their child, based on the child's learning style, strengths and needs. We write letters of recommendation for our students and make connections between the families and the school of their choice.